Sally Gethin has been to the UK Air Rail conference organised by The Global Air Rail Alliance (GARA), held at the iconic Paddington Hilton Hotel, originally conceived by Isambard Kingdom Brunel as the London home of “God’s Wonderful Railway” or Great Western Railway (GWR). Major expensive work is returning the hotel to the glories of the past. Creating high-speed air-rail connectivity is a major objective in the UK. 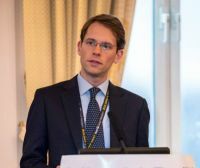 The government has embarked on a study on Southern Rail Access to Heathrow in response to the Airports Commission and as part of the airport capacity issue in the southeast. Architectural and urban design practice WestonWilliamson & Partners (WW&P) is responsible for designing the Crossrail interchange at Paddington, a vital part of the largest rail transport project in London for many years. First Great Western (FGW) Managing Director Mark Hopwood spelt out the vast array of plans linking airports via rail. FGW is responsible for direct services to Gatwick from Reading, running Heathrow Connect in conjunction with the airport and integrated rail and coach services with FirstGroup. Passenger journeys rose from 76m in 2006 to 97m in 2012, and 100 new rolling stock vehicles have been introduced since 2008. First class carriages are being "reseated" to release additional standard class seats daily. 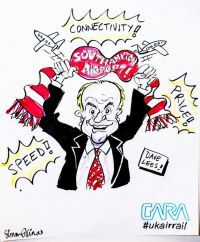 He noted the potential of a one hour direct service to Gatwick from Reading for the Thames Valley. He added, “In the longer term it is possible to imagine a direct rail service to the airport from Yatton.” This is a local station close by Bristol Airport. 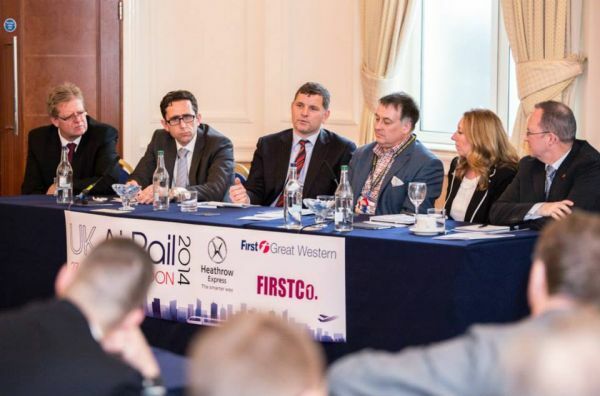 As a result of a partnership betwen First Great Western, Heathrow Express and Singapore Airlines the first UK through rail and air ticketing Rail-Fly was launched in January this year, followed by similar tie up with British Airways. The Heathrow Express is getting an upgrade. The Heathrow end of the service was designed for Terminal 5 around lifts rather than escalators. The company is now working to close the gap between the train and the platform to enable a flat platform entry. This will help customers with restricted mobility as well as luggage. Luton Airport’s Chairman, Clive Condie, said that the airport, which is linked to St Pancras with eight trains per hour is “not very joined up but we are getting that way thanks to Govia Thameslink Railway”. The airport wants a London Luton Express with 24/7 year round services; 19 minutes by rail to Central London every 15 minutes and a fixed link (people mover) to remove the interchange penalty. Gatwick is looking to introduce 50 trains an hour and is investing £50m in its station infrastructure. That will result in 27 trains, and 108 carriages in 2016 along with free wi-fi and power sockets, multilingual information and dedicated on-board host to help with information and provide better customer information. 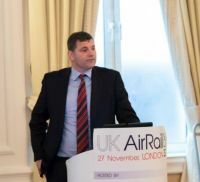 Rail is a matter of urgency according to Manchester Airport Group (MAG), the largest UK owned airport operator with four airports – Stansted, Bournemouth, East Midlands and Manchester – serving around 42m passengers every year. At Manchester Airport station a fourth platform has recently been completed, with a new direct service to the City Centre and Metrolink network. The Northern Hub is a £530m project to remove capacity bottlenecks, improve performance and reduce delays. This is an “opportunity for the airport to sit at the heart of a cross-country high speed rail Network” according to Hawkins. Panel discussion with (from left to right) Clive Condie, Executive Chairman, Luton Airport; Simon Earles, Head of Surface Access Strategy, Heathrow Airport; Tim Hawkins, Corporate Affairs Director, M.A.G. 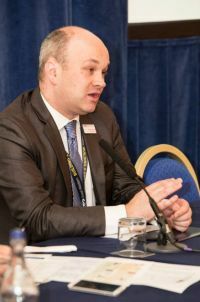 ; Conference Chair, John Morris; Angie Doll, Head of Business Transformation, Govia Thameslink Railway; and Richard Higgins, Surface Access Planning, Gatwick Airport.